With the new Tourbillon 24 Secondes Vision, Greubel Forsey houses its third invention - a patented fast rotating 24-second tourbillon inclined at 25° first introduced in 2006 - in a slim and classic case. By incorporating a dome into the sapphire crystal on the back of the timepiece, Robert Greubel and Stephen Forsey have created enough extra volume to allow the tourbillon cage to overlap the reference surface of the movement bridges so reducing the height of the case. More than just a simple support, the lower tourbillon bridge in steel, visible from the dial at 9 o'clock, is accurately polished by hand to obtain a perfectly regular reflection over the whole piece. Each bridge finished in this way is discretely signed by the craftsman-decorator who executed it. The hand-finished blued-steel hands have the shape of a lance and lead the eye straight to the indexes that are first engraved and then "oven-fired" enamelled into the solid gold dial. The back case, which confirms the exceptional standard of decoration that we are used to see in Greubel Forsey timepieces, not only unveils the precious tourbillon but also gives space to the sectorial 72-hour power-reserve indicator. The white gold case is polished with hand-finished straight graining for the central band. Its diameter is 43.50 mm with a thickness of 13.65 mm or 16 mm if you also consider the dome. 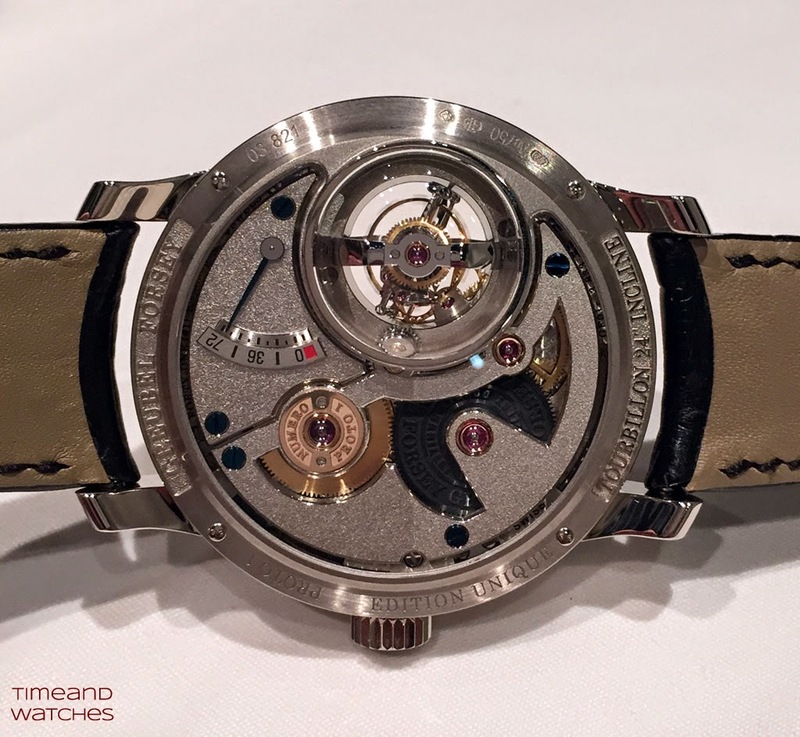 The movements beats at 21,600 vibrations per hour with a power reserve of 72 hours thanks to two series-coupled fast rotating barrels (1 turn in 3.2 hours), one of which is equipped with a slipping spring to avoid excess tension. 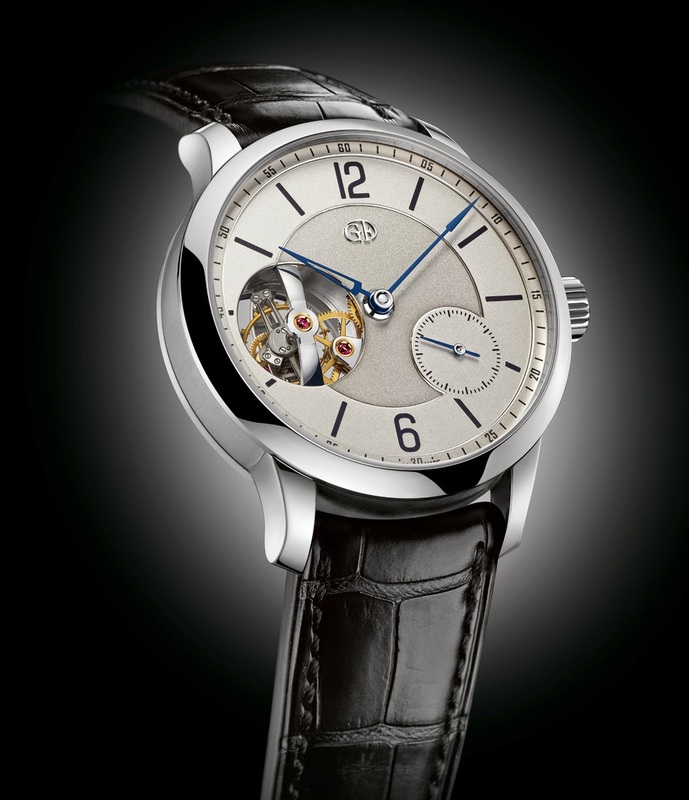 The Greubel Forsey Tourbillon 24 Secondes Vision is a unique edition of 22 pieces. 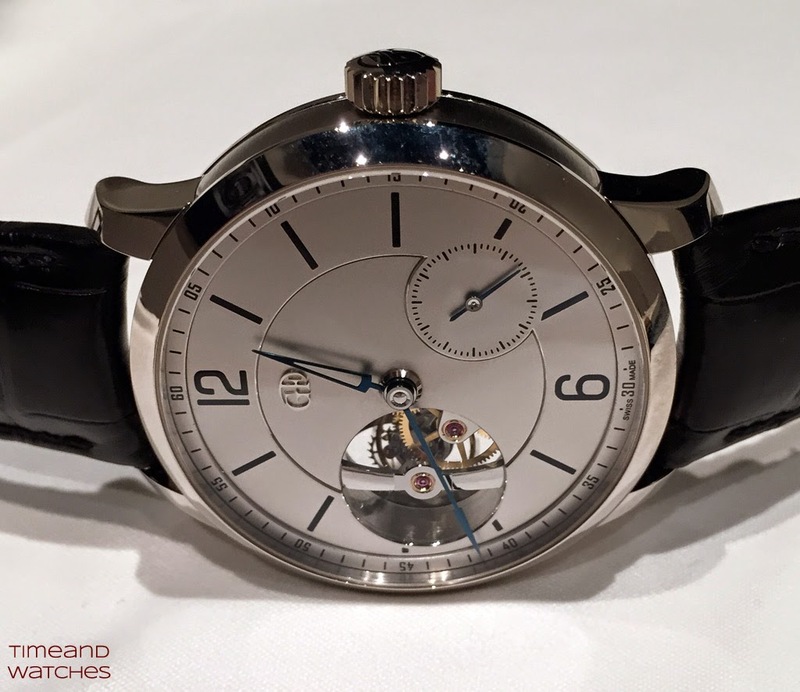 SIHH 2015: Greubel Forsey Tourbillon 24 Secondes Vision. 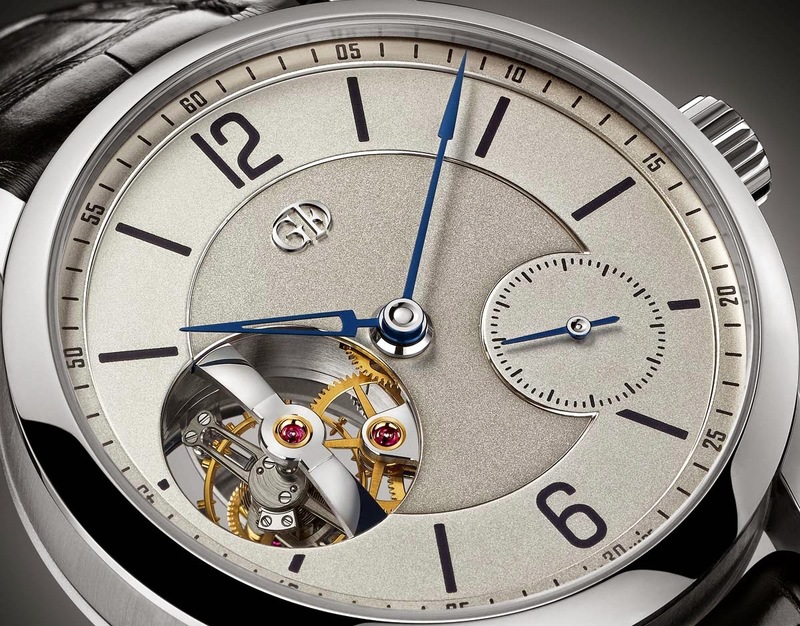 With the new Tourbillon 24 Secondes Vision, Greubel Forsey houses its third invention - a patented fast rotating 24-second tourbillon inclined at 25° first introduced in 2006 - in a slim and classic case. 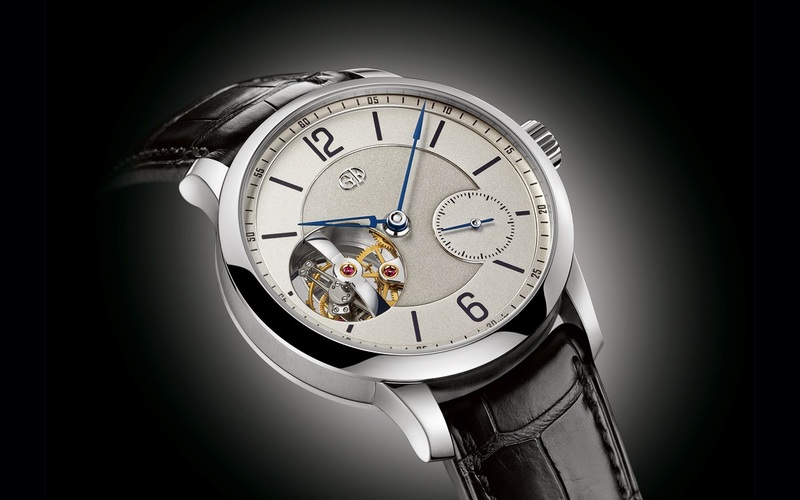 The Greubel Forsey Tourbillon 24 Secondes Vision is a unique edition of 22 pieces.